At Houghton International we are celebrating following a series of award wins, cementing our position as one of the North East’s leading employers. We have recently received recognition on both a regional and national level as an employer and service provider. In recent months, Houghton International has seen recognition from the Chartered Institute of Personnel and Development (CIPD), Association of Electrical and Mechanical Trades (AEMT), Newcastle Journal and North East Business Awards. Since the start of the year we have taken on 18 employees and are currently recruiting for a range of roles including fitters, administrators and sales staff. Having grown by approximately 25% year on year for the past three years, we expect to recruit at least another 13 employees this year in order to satisfy growing demand for our products and services. Michael Mitten, CEO of Houghton International, commented: To have been recognised by such prestigious organisations for the work we do is fantastic, and a great achievement for all involved. As we look to continue our growth journey, recruitment is a key part of the strategy to reach revenues of £20 million by 2020. These awards are testament to the efforts we take every day to provide a great place to work for our employees and an excellent service to our customers. In June, Houghton International was awarded first place for HR&D Excellence in SMEs at the CIPD North East Awards. The award came following the launch of the company’s ‘People Strategy,’ which includes an employee benefits package, competency management system and health surveillance checks. The company was also ranked 8th in the Newcastle Journal’s Best Places to Work awards, recognising Houghton International as one of the top workplaces in the North East, based on factors such as staff development, community involvement and staff engagement. 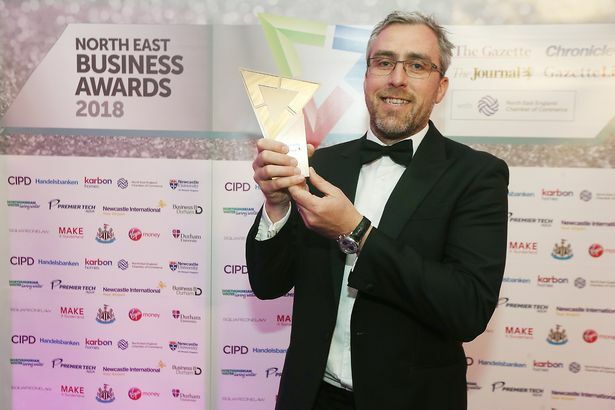 Success also came in March as we scooped top prize in the Services category at the North East Business Awards after being shortlisted in the regional heats. The business was commended by the judges for its innovative culture and going above and beyond to develop solutions to customers’ problems. Last December, Houghton International was presented with the AEMT (The Association of Electrical and Mechanical Trades) award for Contribution to Skills and Training in recognition of their apprenticeship programme and commitment to staff training. Houghton International currently employs 17 apprentices and the organisation’s commitment to staff training and development has seen many former apprentices progress through the business into supervisory, sales and senior management roles.